An aide to House Speaker Nancy Pelosi (D-CA) confirmed to CNN Monday that President Donald Trump’s second State of the Union address won’t happen Tuesday. 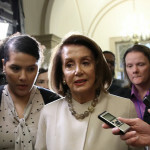 House Speaker Nancy Pelosi (D-CA) took a brief reprieve from the government shutdown woes to weigh in on the arrest of longtime Donald Trump associate Roger Stone early Friday morning. Fox News anchor Bret Baier issued a statement Tuesday after experiencing a car crash with his family over the weekend in Montana. 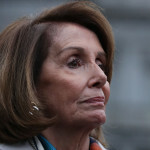 House Speaker Nancy Pelosi (D-CA) announced Friday that she is postponing her trip to Brussels, Egypt and Afghanistan in light of President Donald Trump’s move to ground her flight after her request to delay the State of the Union. The Des Moines Register‘s editorial board didn’t mince words Tuesday as it urged Rep. Steve King to resign following backlash over his white supremacy remarks. 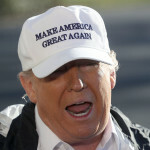 President Donald Trump denied any White House “chaos” over the longest government shutdown ever in a Saturday morning tweet. Sen. Joni Ernst (R-IA) added to the number of Republican colleagues condemning Rep. Steve King’s (R-IA) white supremacy comments in a Saturday morning tweet. 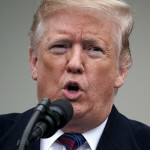 President Donald Trump pivoted back to expressing his shutdown woes Saturday morning after going on a Twitter tirade over a reported FBI investigation on him in the days following former FBI Director James Comey’s firing. Despite the fact he “disagrees” with Rep. Steve King’s (R-IA) recent racist remarks, National Republican Congressional Committee chairman Tom Emmer (R-MN) said that it’s “too early” for the committee to think about whether it will support the Iowa congressman’s reelection.